Garage Door Repair Washington D.C.
Garage Door Services Washington D.C.
You may own a residential wooden garage door in Washington D.C., or commercial overhead door in DC, every garage door will need some service at some point. You can try and delay the need for repairs, you can maintain the door on time, but eventually the door will break, get stuck, or go off tracks. This is when you will need a local garage door repairman, who has the ability to deal with any broken overhead garage door. Most of the times our overhead garage door serve us with no problems or issues. The way the garage doors are built and designed (The high quality garage doors), is to work smoothly and quietly for many years, with no need for repair expect for the tune up, lubrication and inspection that we need to perform, in order to maintain the smooth and safe way the door operate. We sometime being asked: What is wrong with the garage door? The thing is that there is no one particular problem that prevent a garage door from working properly. It can be a broken spring, a problem with the garage door opener, a cable that snapped and more. There is no one problem that we can put our finger and point, and the main reason why the garage door stopped working. But we would like to go over the common problems, that usually rise, and that we are dealing with on a daily base. It may be a garage door repair in Washington D.C., or broken garage door in Fairfax County, those problems can stop a garage door from working, and can be dangerous, if you will ignore them, and try and force the garage door wo work. Before we start, we would like to make it clear that a broken, stuck or off tracks garage door shouldn’t be used, and should be repaired by a qualified technician. The spring system, which can include torsion spring system, or extension spring, is what make it easy to open even the heaviest industrial overhead doors, which can weigh hundreds of pounds. Each overhead door need the right spring that was designed for the door, and that fit the size and the weight of the door. If the wrong spring was installed, the door will probably won’t work correctly, and can even be dangerous in some cases. When the right spring is installed, the door can stand by itself in open position, close position, and half way position. And when the repairs was performed correctly, it should be easy to open and close the door. The wrong spring can make the door drop and crush into the ground, or make the door “jump” and fly up. Both cases are extremely dangerous! If you are located in Washington D.C., and you need a technician to repair or to replace a broken torsion spring that snapped, we can help. We carry torsion springs from different sizes that will fit every overhead door including commercial and residential doors. A broken torsion spring replacement should be performed by professional garage doors technician, since it can be complicated process, and require certain tolls, experience in different overhead doors repairs, and of course knowledge of the garage doors and the way they operate. As we mentioned earlier, always use the right spring for the door! The torsion springs are located on top of the door, near the center, and they are wrapped around a long steel pipe (The shaft). If you springs are installed on the side of the door, above the tracks, you can move to our second paragraph about extension springs. Extension springs are installed on top of the door, above the tracks, and they extend every time you are using the door. If you own a garage door that work with the help of extension springs, and one of the springs snapped, you better stop using the door from 2 reasons. The first is that continuing to use the door will lead to a bigger damage. And the second, but more important – it is dangerous. Three States Garage Doors have the knowledge and the ability to repair you garage door today, and replace the broken spring with a new extension spring. We repair any type of garage door spring in Washington D.C., and we offer same day spring replacement. If you own a commercial or industrial overhead door, and you need a garage door expert to repair a broken spring for a commercial door in Washington D.C., we can help. We repair commercial overhead doors from all makers, and we got the knowledge to repair your door today. A commercial door require special tools and parts, that most garage doors companies do not carry, since many commercial doors require custom made springs and parts, so it is important to try and avoid using the door until it will be repaired. A commercial garage door repair is usually an urgent repair since you may need the door to work again ASAP. For that we offer emergency repair for commercial overhead doors in Washington D.C..
Garage Opener Repair Washington D.C.
One more common problem that can prevent a garage door from working is a garage door opener problem. Of course that if your garage door is not an automated door, and it is being used manually, this problem is irrelevant for you. But if you are using an automated garage door, and experiencing issued operating the door remotely or electrically, read on. Three States Garage Doors specialize in repair of garage door openers from all suppliers in Washington D.C.. Whether it is a Lift master Opener, Genie, or any other opener, we can fix it. But until our technician will arrive to your place and repair the opener, do not attempt to use the door, to prevent bigger damage to the opener and the door. Any attempts to use the door although the opener is broken can end with burning the opener. But wait, Is it really an opener problem? Before we determine if the problem is really with the garage opener, we need to examine the door itself first. As we explained earlier, in the previous paragraph about garage door spring repair in Washington D.C., a garage door should work smoothly and should be opened and closed easily without the opener. If there is a problem when you use the door manually, the door should not be used with the opener. If there is a problem with the garage door itself, such as snapped cable or a broken roller, the opener may not be able to open or to close the door. In order for the garage operator to operate the door, the mechanism of the door should be in good condition. The opener’s part in lifting and lowering the door is a small part, when the biggest part is being done by the spring system. When the spring’s system work fine, and there is no problem with the door, then we can move forward to inspect the opener itself. 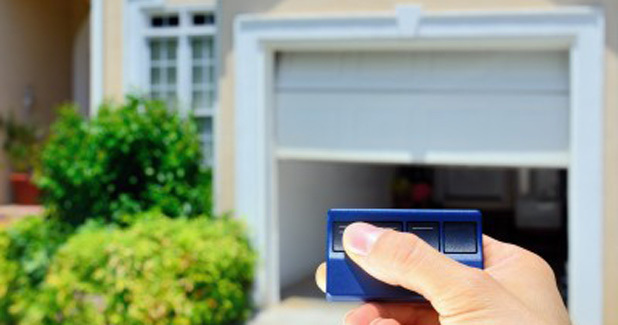 By law, every automated garage door must include a safety feature such as the safety sensors. But the safety sensors – especially when they weren’t installed properly can be the reason for many garage door issues, such as a garage door that can’t be closed. The safety sensors are there for safety reasons, and should not be removed under any circumstances. They are there for the protection of you and your family, and uninstalling them can lead to serious injuries. A safety sensors removal and using the garage door electrically without them is against the law, which require that every electric garage door, commercial or residential till include a safety feature, which will stop the door and reverse it in case someone or something will be places at the door’s path when it is closing. If the garage opener does not get a signal form the sensors that signal to the opener that the path is clear, and that it is safe to close the garage, the opener will not close the door. If the sensors are not aligned, if the cable is nor connected, if the sensor is broken or damaged, if there is dirt on the lens, if someone moved the sensor by mistake, the opener will not close the door. In that case you can look by yourself, and try to locate the problem. If you are unable to repair it. Contact Three States Garage Doors for a same day service in Washington D.C..
Do I Need a new opener? Repairing the opener isn’t always the wisest decision, and in the long term isn’t always the cheapest option. If the opener is too old, and was installed more than 15 years ago, we may suggest you to replace the opener and install a new one. If you will choose to repair it, you may face a different problem soon. Yes. Fixing the opener may make it work again, but the question is for how long. You do not want to spend money on garage gate opener repair, just to find that you need a garage door technician in Washington D.C. VA to install for you a new opener soon. Garage Door Maintenance Washington D.C.
Every garage door in Washington D.C. need to be maintained. Garage door tune up is important for preserving the smooth and safe way every overhead door should work like. When you perform a garage door maintenance, you are making sure that the door is safe for use, you its movement, and you make sure it will continue to work as good as it worked before. The maintenance can be done do-it-yourself, and there are many articles online, explaining how to perform the maintenance by yourself. We recommend to watch the following garage door maintenance, to learn how to maintain an overhead garage door. If you prefer to use our services, we offer same day tune up in Washington D.C., so all you need to do is to call us, and we will be there for you today. Do not wait until the door get stuck! Even if there is nothing wrong with your door, it still need to be maintained and lubricated. If your garage door went out of its tracks, and it can be a residential door or an industrial one, there is a reason that made it happen, and attempting to fix the problem by simple pushing the rollers back into the tracks is not a solution. If you door was hit by a car, if the cables snapped, the rollers brock, or if the tracks are bended or damaged, they should be fixed before the door can be used again. 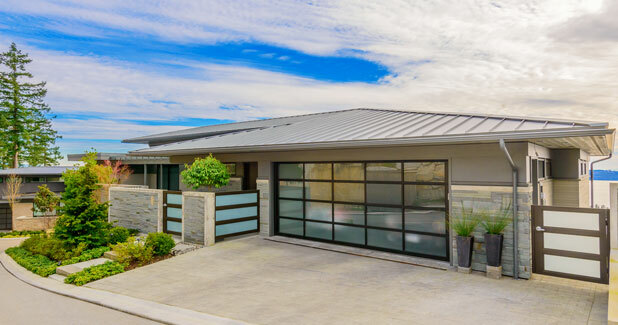 The only safe way to deal with off tracks garage door is to contact a local garage doors company in Washington D.C., and to use a local garage door expert. If you think that you can just force the door back into the tracks, you are risking in creating a bigger damage and injuries, since the nest time the door will go out of the tracks, it may completely fell out of them, resulting with damage and even death. If the door went off tracks, there must be a reason, since garage doors, as long as they were installed correctly should be working smoothly and safely for years. A qualified garage door technician should have the ability to locate the problem, the cause to the problem, and make the door work again. Repair the garage door or replace the door? The door isn’t safe for use: When the door is not safe for use, and the repair will still leave you with a door which is not 100% safe, we will recommend you to replace the door. The cost of repair vs Install a new door: When the repair will cost you more than replacing the door, we will recommend you to replace the door with a new one. There may exceptional cases, as doors which are custom made, or people who would like to preserve the current door for their reasons (To maintain the appearance of the house, sentimental values for the door which was created by a father and more). In that case, we will repair the door, as long as it will not break safety rules of using a garage door which is not dangerous. But keep in mind that every garage door and every garage in Washington D.C. is different, and what may work for a garage gate in Washington DC, may not work for a broken garage door in Alexandria. Only a technician on site will be able to determine what is the best action, and the best solution for the door. A perfectly operating and strong rollup gate is necessary for the security of a store or a home, regardless it is residential sliding Iron Gate, or commercial parking lot rollup gate, or moving property. In order to make sure that the gate will not get stuck anytime in the near future, you are required to ensure regular maintenance and essential repair for your gate every time it is needed. Where regular maintenance that include greasing will ensure that your rollup gate will work smoothly, the timely greasing will prevent your rollup gate from encountering defects. And when it comes to repair rollup gates in the D.C. or greasing and tuning a rollup gate, you are always advised to use the services of a qualified serviceman. The expertise, knowledge and the proper tools help them to repair your broken rollup gate safely and quickly. If you are looking for reliable, professional and affordable rollup gate repair in D.C., then you have definitely come at right place. Three States Garage Doors repair and install all types of iron gates: From storefront rollup gate repair, to commercial swing gate, we can be there today. Three States Garage Doors, aiming at remaining the best garage doors and gates company in the D.C.. By customizing our services according to the requirements of the people who choose to use our services, Three States Garage Doors strive to deliver the excellent repairs ensuring perfect accuracy and efficiency for any task. Our main aim is working up to the satisfaction of our customers which we achieve by providing them with different solutions for the Rollup gate problems. Whether it is Rollup gate installment, gate repair or timely maintenance which every gate in D.C. need; we do our best to complete the task so the customer will know that when he chose to hire Three States Garage Doors, he made the right decision. Our aim towards providing the best and trustworthy services along with reaching the client satisfaction has helped us to win their trust and make our name in the gate repairs and installment field and built our reputation as one of the best garage doors and gates companies in the D.C.. Sometime the repair is a matter of emergency, like when you can close the door or you can’t get the door to open. And sometime it can happen at the worst possible timing. It may stuck in close position when we are in a rush and cannot take the car out of the garage, or it can happen late at night, and we cannot close and lock the door, and we may wonder if we are going to have to leave it open the whole night. Luckily you found Three States Garage Doors, since we offer same day garage door repair service, including emergency repair service in Washington D.C. VA. If you cannot close your overhead door, if the cable snapped, if the door went out of track, or if you accidently hit the door with a car, we can help. We carry with us the parts that we need to repair your door on first visit, so you can go back and use a garage door which work perfectly, and more important, a door which is safe for use. We carry the parts with us. Which mean we can fix your garage door on the spot. We know garage doors in DC, and we know which parts are needed in order to fix a broken garage door on the spot. Whether you need a Genie garage gate repair in Baltimore, or Lift master garage door opener installation, if you are located in Washington D.C., you are local to us, which mean we can be there today. For Garage Door Repair Washington D.C.